The content, development, delivery and assessment of all academic programs fall under the purview of the faculty, led by the provost and dean of the faculty. The provost works closely with the associate provost and dean for academic development, the associate dean of the faculty, director of graduate programs and the dean of the School for Social Work. Together they integrate the college’s varied academic efforts to ensure excellence in teaching, learning and research and to create a thriving community for students, faculty and staff. The provost chairs the Committee on Academic Priorities (CAP), an elected committee of faculty, charged with establishing and maintaining the educational and curricular priorities of the undergraduate, certificate and graduate programs of the college. CAP's mandates include: the review and authorization of new programs, course offerings and changes in requirements; long-range planning of the undergraduate and graduate curriculum; review and authorizations of annual tenure-track requests; and long-range planning of the shape of the faculty (Faculty Code, sec. 24). Through a well-defined subcommittee structure, CAP also oversees credit-hour compliance, assessment of departmental and institutional student-learning goals, honors and independent studies projects, and the college's writing intensive guidelines. Consult the Curricular Approval Guidelines and Requirements link below to understand approvals necessary for curricular additions and changes. Links to appropriate forms are also included in the table. In this series of videos, Smith College faculty from a range of academic disciplines discuss timely and thought-provoking topics related to their teaching, research and academic interests. The series showcases a range of ideas and perspectives, the vibrant community of scholars at Smith and the intellectual excitement Smith students experience every day. 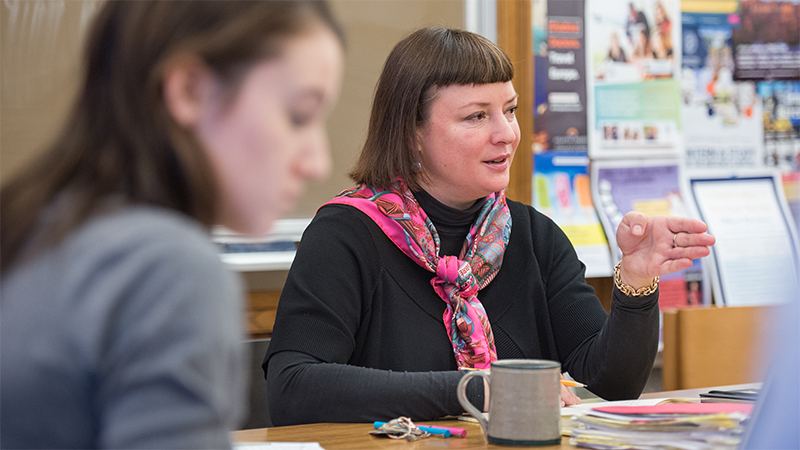 Faculty work closely with students to design their education in an open curriculum. Many services are available to help faculty and students achieve academic success. Real-world, cross-disciplinary experiences are built into Smith's learning and research. Faculty play an essential role in cultivating a global perspective as part of a Smith education.